Now make 2K15 valentines day more special and memorable with these apps. Make your dear one more happy and surprise. There are many 2K15 Valentines Day apps in the market for free so i would like to introduce some of them for you. 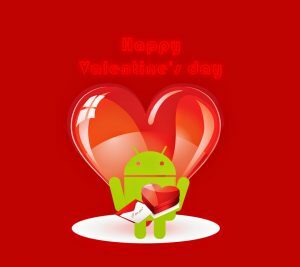 This Valentines Day app was developed by TRI CORE. 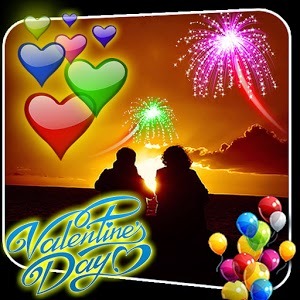 This app contains beautiful love symbols which are animated on your screen with touch and fireworks. There are various love background given for your customization with auto change option. With this you can celebrate this Feb 14 with various verities of love wall papers. It is a free app with size of 5.8M. Its current version is 3.0. This app supports Android 2.2 and up. Visit Related apps : Best Way To Attract People Using Photo Frames.. 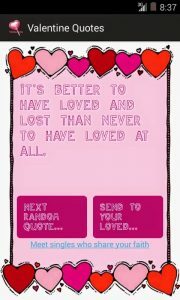 This Valentine Quotes app was developed by LIBERUMSOFT. As the name of the app itself specifies the app is what about. 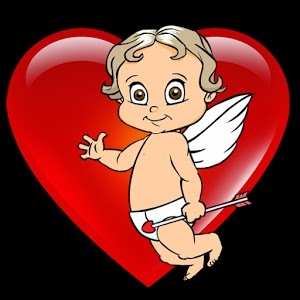 This app is used to express your feeling through beautiful and heart touching words with symbols like heart shape, figure of winged cupid and doves. I thing we know that Quotes will show a major impact in expressing some thing. So, this app will be more helpful and useful to express your love in Quotes. It is a free app with Quick share function. It works on every android mobile in the world. The size of this app is 1.6M and its current version is 1.1. Free Apps Which Can Replace Your Wallet. Hi! In my previous posts i introduced you some apps to plan your budget.